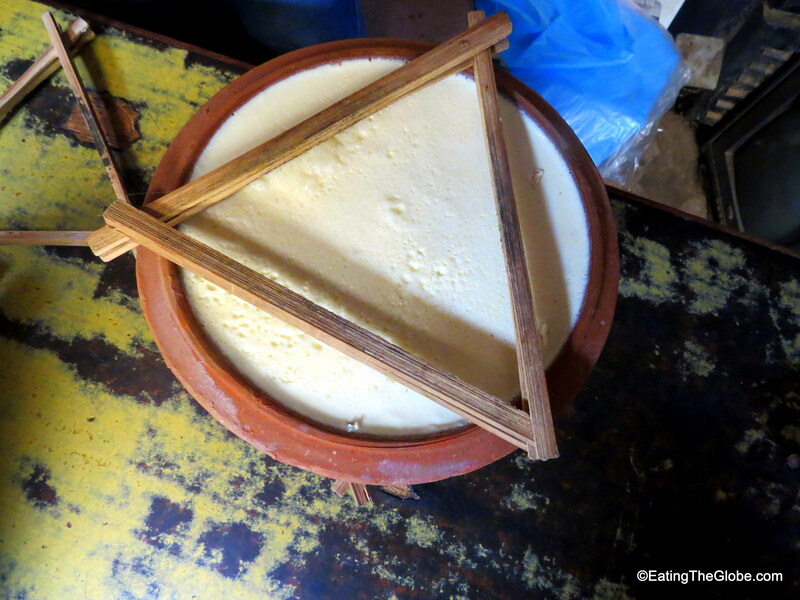 My favorite thing that I ate in Nepal was the Juju Dhau. It really was the best yogurt I’ve ever eaten. 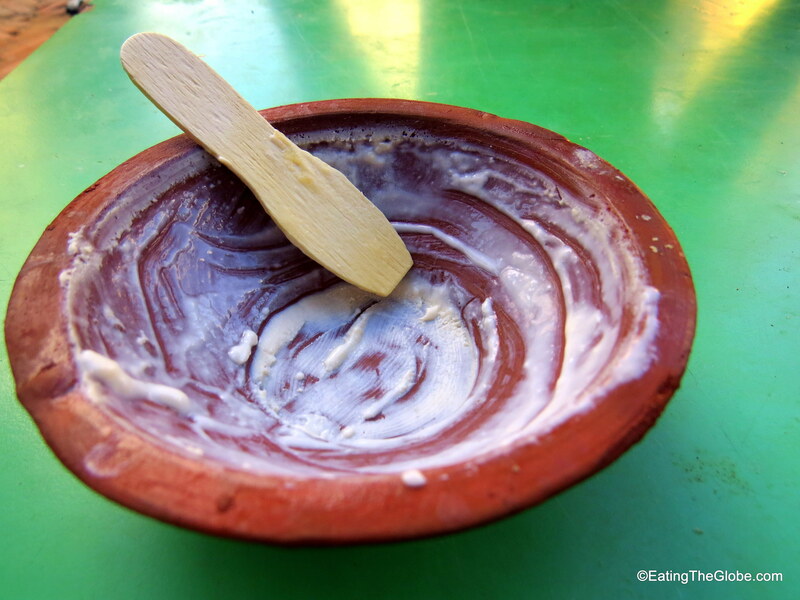 Juju Dhau means “king of all yogurt”, and it really is king. I am a huge yogurt fan, and I have always loved Greek yogurt, but this was even better. It’s made from buffalo milk, which gives it a rich custard flavor and texture. The clay pots the yogurt is made in allow all the excess liquid to strain out, so the result is one of the thickest, creamiest yogurts you can imagine. Juju Dhau is also slightly sweetened with Nepal honey and sometimes flavored with cardamom or cloves. You can watch it being made here. Kings yogurt is made in my favorite village in Nepal, Bhaktapur. You can sometimes find it in Kathmandu where they import it from Bhaktapur. I made it my mission to try it as many places as I could when I was there. The best place I had it was from Kulfi Sansar. 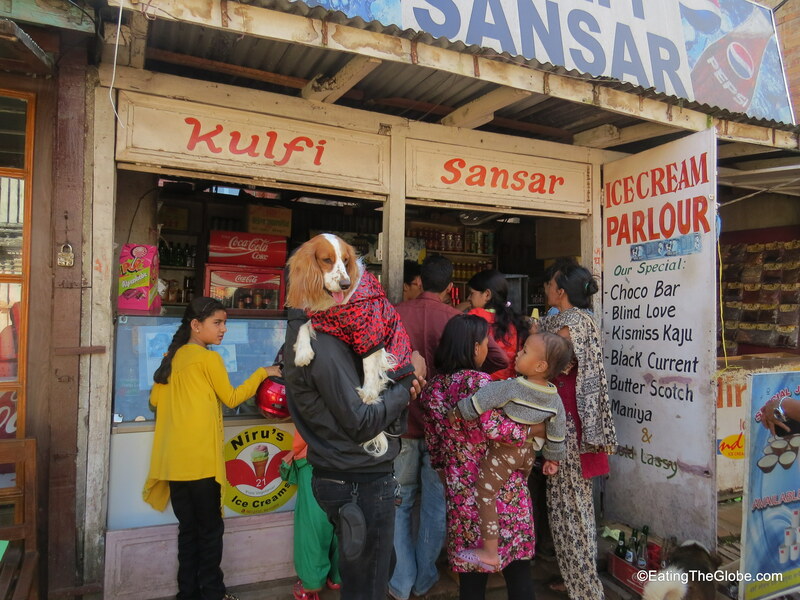 It was a popular place, and was also famous for their kulfi, or small popsicles which I didn’t find to be as good as the yogurt. 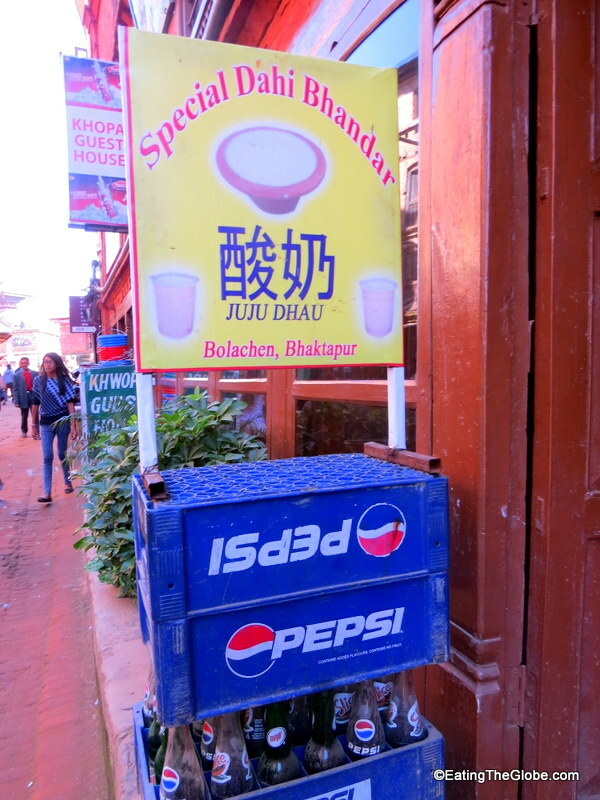 You can find Kulfi Sansar just next to Beans Coffee in Durbar Square in Bhaktapur. 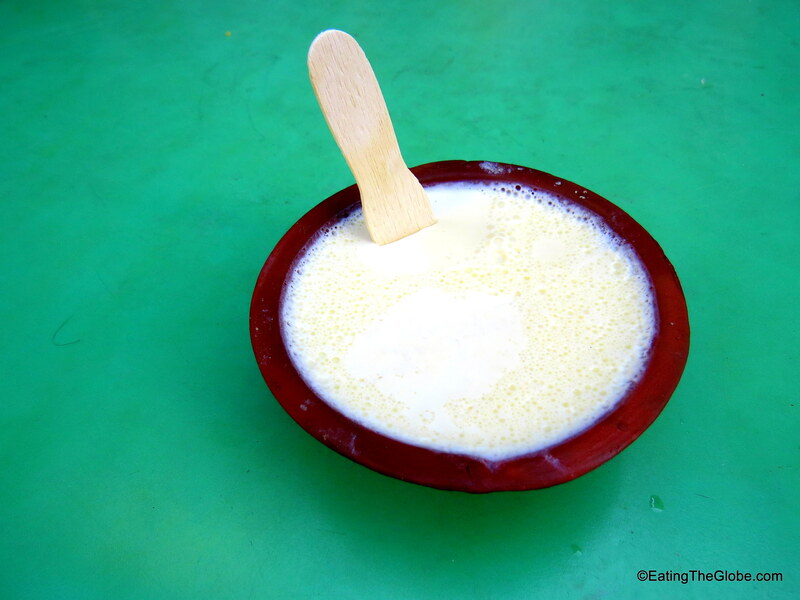 Juju Dhau is considered to be one of the five nectars of the gods along with milk, honey, ghee, and sugar (add chocolate, coffee, and wine in there, and I would have to say I agree!) It is an important part of Nepali culture. If a person is leaving home, they will eat it as a blessed food before they leave. They use Juju Dhau to purify themselves during fasting days. You will also see it in doorways as it’s considered to bring good luck. If it does, then I have a lot of good luck coming my way. I definitely ate my fill!! 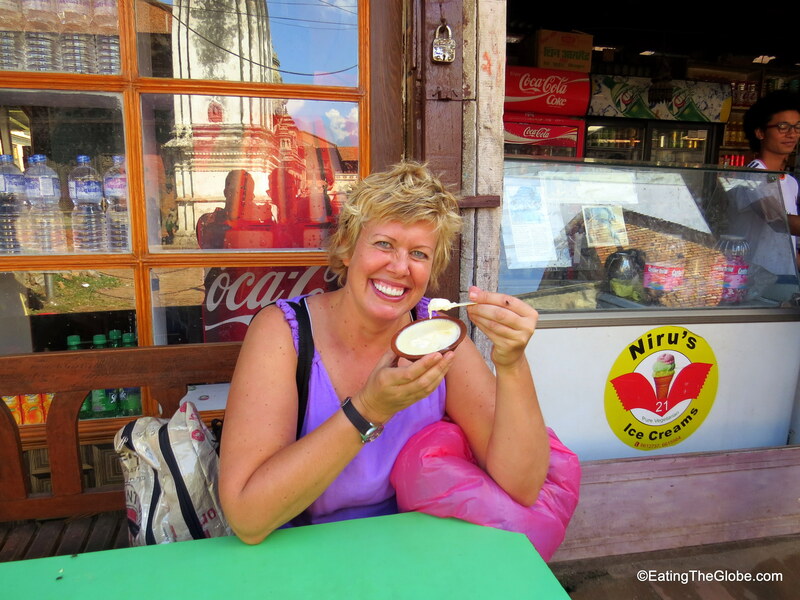 3 Responses to "The Best Yogurt Of My Life: Juju Dhau (The Kings Yogurt from Bhaktapur, Nepal)"
It looks really good and creamy! If it’s even better than Greek yogurt, wow! Yes, it’s amazing, and I’m a huge fan of Greek yogurt, too, but this blew my mind! Though this is not my area of expertise but we have more or less similar yogurt here in my country, thick and concentrated taste, Thanks for sharing!